In this program, you will work through a series of six videos to gain full body flexibility and mobility. Each video targets a key part of the body – from the shoulders, chest and spine, to the wrists, hips, hamstrings and more. Each video is uniquely designed for you to first learn a series of poses and exercises that target either flexibility and/or mobility in a specific area of the body. Then you'll practice yoga poses that are meant to help you gauge your progress. Kelly Pender is an international yoga instructor and holistic health coach. She's passionate about helping others rediscover their voice through mind, body, and soul connection. 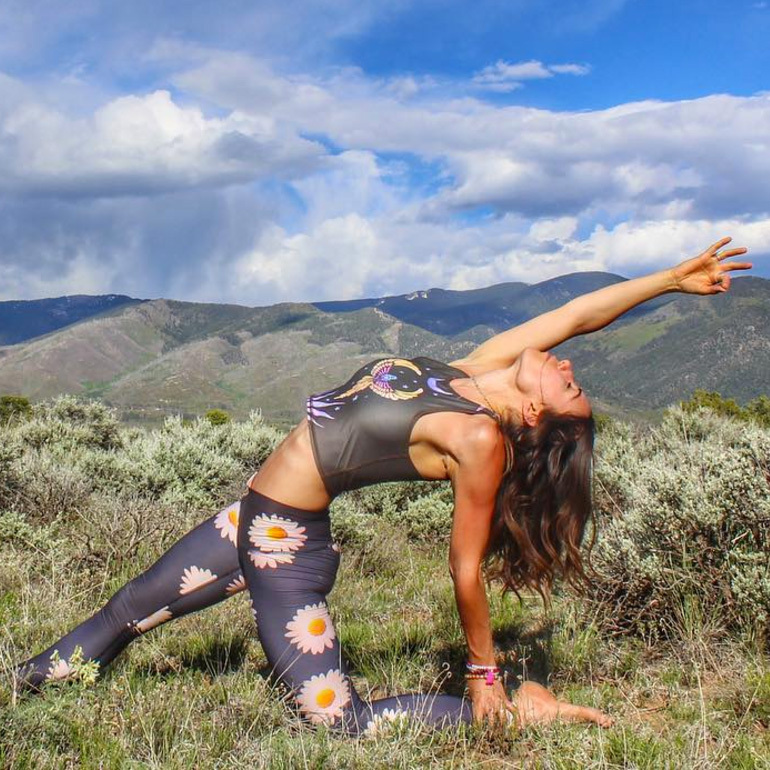 Kelly's teaching style centers on listening to the body, honoring the heart, and tapping into the Self, both on and off the mat. Start with this short introduction to meet Kelly and learn everything you need to know about how to approach this bundle. When it comes to mobility in yoga, the wrists are a fundamental joint that requires strengthening and mobility. Learn a series of stretches and exercises for your wrists to keep your practice safe and successful. The hip joint is another key player when it comes to mobility in your yoga practice. Discover a wide range of poses and stretches to increase the mobility and range of motion in your hips. Side body flexibility is one part of the body that often gets overlooked. Explore poses you can practice to create more space in the side body to access more advanced yoga poses and variations. The hamstrings are a notoriously tight part of the body, but they won't be after this video! Explore a comprehensive set of poses and stretches you can do to create more length and flexibility in the hamstrings - key to avoiding injury, reducing pain, and advancing your yoga practice. Spinal mobility is important not just for our yoga practice, but also for our quality of life. Learn poses and stretches to keep your spine healthy and strong as a way of avoiding injury, decreasing back pain, and advancing in your yoga practice. This video is as enjoyable as it is beneficial. Learn mobility exercises and stretches to target shoulders, chest and upper back to create more space and mobility in the upper body.